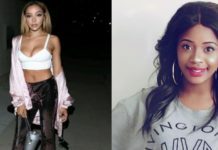 Sultry dancer Lady Storm aka Lyn Magodo – has hit back at all the men claiming to be her baby daddies to ‘shut’ up. 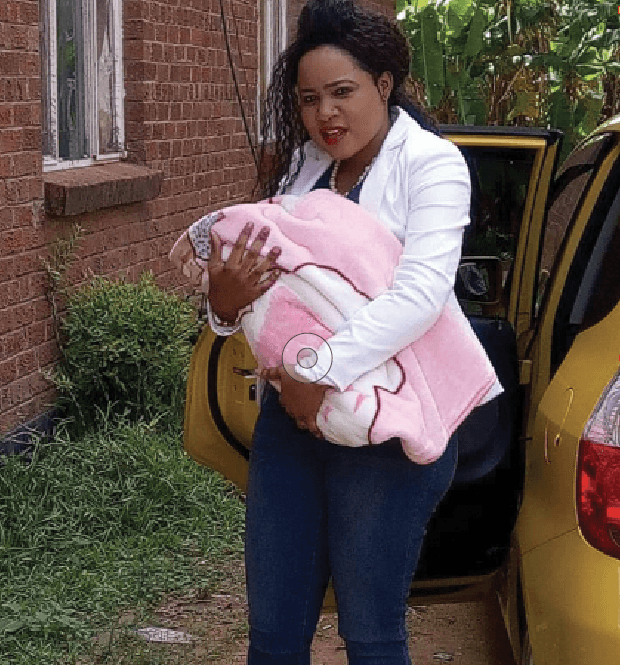 Lady Storm who made her claim to fame in Jah Prayzah’s as Eriza said the biological father of the child is not not even breaking a sweat. This follows after another man Lucky Pogolani claimed to have had unprotected se_x with her this week and claims to be the man who named her child. “Surely is there need to run to the media and claim to be the father of a child if you are really the one? Real fathers just go to their children, not to the media. “I wouldn’t want to talk more now until I do paternity tests which I will give you to publish in the press and vamwe vachanyara,” she said. 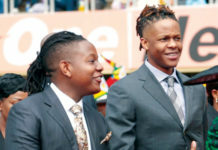 Lady Storm is now shacking up with her lover in Cape Town after dumping her husband in yet another controversial manner. The man she is staying with is thought to be the real father of the child. “All those guys in Zimbabwe ngavagare pasi vakanyarara, mwana ndewekuno (South Africa),” said Lady Storm. She blasted Lucky for being an attention seeker. “As for Lucky, he should stop saying all this nonsense. All he is saying are lies. He should bring evidence that he is the father of the child. The picture he is circulating has no proof, he actually asked for a photo with me as he was star struck when we were in a bar in Harare. “Let him release a picture with the child or a message I sent to him telling him that mwana wako azvarwa. It’s sad how he is seeking attention,” she fumed. She claimed she met Lucky whilst going through a rough patch with Tinarwo but the couple managed to sort out and their differences and got back together. She claims she is heart her ex husband Tinarwo is now muddying her name despite her taking care of him and she says she was the breadwinner between the two of the. “The reason I have been quiet is that I was trying to make things happen, despite the fact that he has been bullying me, fuc***g my dancers, my employees, so disrespectful. “So as a wife, I tried to show maturity but I have realised that he has no respect. You know what a wife does, mukadzi chaiye anopedzera maproblems ake mumba. She claims Tinarwo was cheating on her and sleeping with her dances behind her back. Lady Storm says she is too pretty to be cheated on so she decided to dump him. “I stood by Tinarwo ndichimuchengeta doing everything. I then left him after realising that he was cheating on me despite the support I was giving him. “So I don’t know what Tinarwo is trying to say when he says he was taking care of me, paying my maternal bills, he is lying. “It’s actually this man from South Africa who intervened paying rentals, buying food and taking care of the pregnancy. Tinarwo akatanga kutoitawo mari after ahwina kamota kwaOK akazotangawo kuita tumaTaxi twaanatwo izvezvi but I was the one taking care of him all that time. So he should not say nonsense since I am the one who was taking care of him. “Right now the fact that I moved on ndozvirikumurwadza and he is now influencing other people to tarnish Eriza’s name. He has been calling my man here in South Africa trying to influence him so that they gang up to tarnish my name; he is calling day and night. “He is afraid that if I move, he will lose all the benefits he has been getting. She blasted her ex husband whom she claims is on an ego trip.